As concern escalates about the maintenance of the cash-flow between the U.S. and Egypt, the army chief in the troubled country, General Abdel Fattah al-Sisi, encouraged his supporters to rally in the streets Friday. He's hoping that demonstrations will result in a mandate, which will allow his army to take steps to tackle the recent eruption of violence. 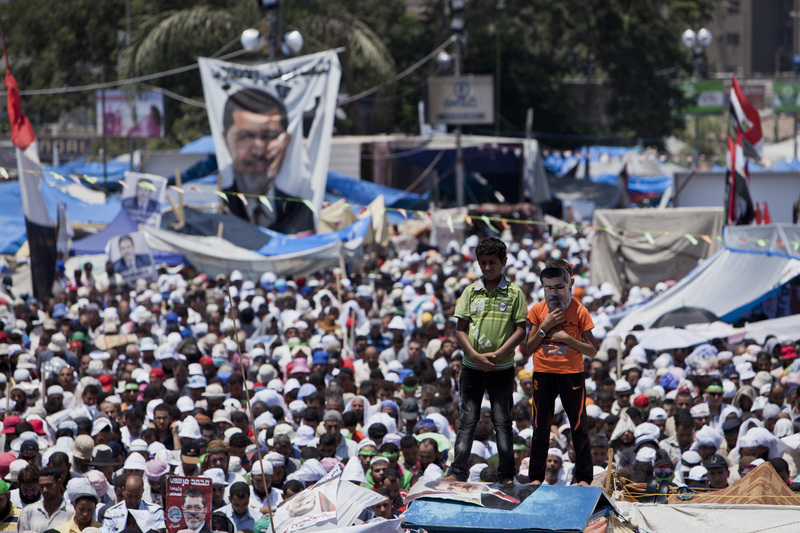 When thousands heeded his call for rally and took to the streets, they clashed with the Muslim Brotherhood's own activists, who were reacting to news that Islamic ex-President Mohamed Morsi has been charged with an array of crimes — including espionage and murder. At least twenty people have been injured during today's rallies, with demonstrations covering a number of major Egyptian cities. The general announced Wednesday that he hoped to end the bloodshed and violence, and called for peace in the country. That isn't likely to happen anytime soon. The ousted ex-president still has a strong army of devoted followers, including neighboring Turkey, which has been protesting the removal of Morsi for weeks now. In Egypt, Morsi's camp has refused to be controlled by the army, and maintains that they won't stop rioting until their leader is returned to power. Meanwhile, Morsi himself hasn't been seen since his dramatic fall from power. Reports have claimed that he'll be detained for 15 days while a judge investigates the charges against him. Charges include Morsi's alleged conspiring with Hamas in order to break out of jail in 2011 (which Morsi maintains he did with the help of locals). Some of his numerous other charges include killing officers and prisoners, setting buildings alight, and kidnapping soldiers. “We will not say it was a coup, we will not say it was not a coup," one official to the New York Times. "We will just not say." Because the protests today fall during the month of Ramadan, rioting isn't expected to peak until after the post-sunset meal and prayer to break the day's fasting.